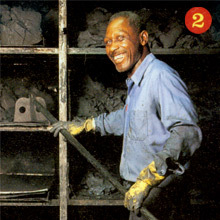 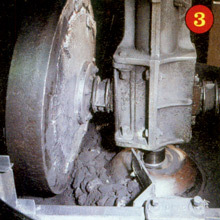 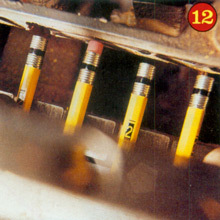 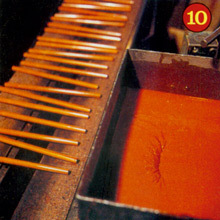 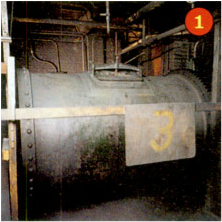 After drying, the pencil leads are put into an oven heated to 1,800 degrees F. The intense heat makes the leads smooth and hard, which makes for good writing points. 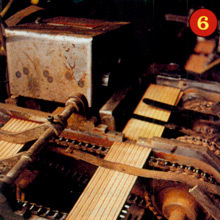 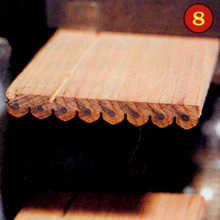 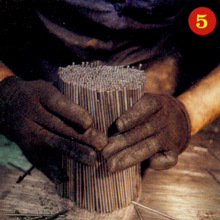 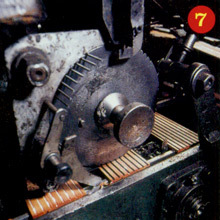 A thin coat of glue is applied to the slats, and one pencil lead is placed into each of the eight grooves. 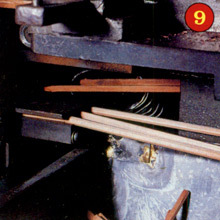 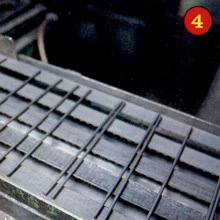 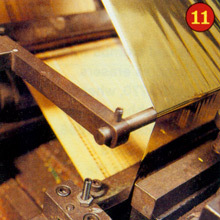 Within seconds, another wide grooved slat is glued on top, sandwiching the leads.